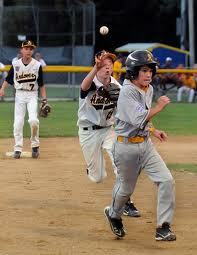 Today’s article is going to focus on running speed as it relates to the game of baseball. The kind of speed that raises your batting average with infield hits, the kind of speed that makes infielders rush plays. These are examples of real baseball speed. When you think of the fastest athletes in the world you think of 100 meter sprinters how are undoubtably fast but do they have the kind of speed you want? 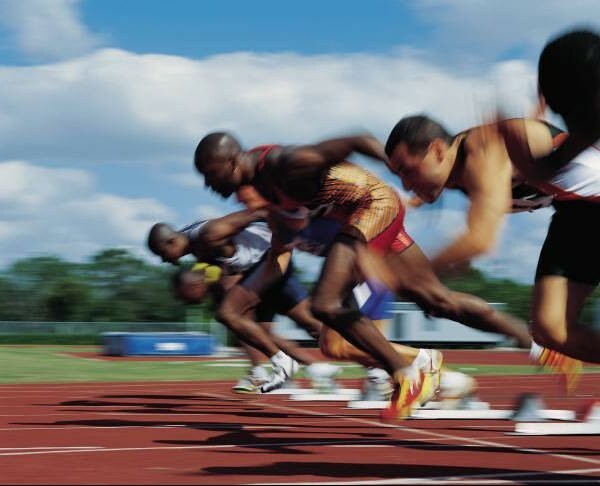 Running speed can be broken down into two basic categories (1) acceleration and (2) maximum running speed. The acceleration phase lasts roughly from the 0-30 meter mark and the maximum running phase kicks in after that until you reach your max running velocity which can’t really last much beyond 100 meters. Which category do you think you should work on? Acceleration or Max Speed? Acceleration itself can divided into two phases (1) pure acceleration (0-15 meters) and (2) transitional acceleration (15-30 meters). Which one of these types of acceleration do you think is more important in baseball? Well if you caught the advanced on-line publication of Dr. Eugene Coleman’s and Dr William Amonette’s study you would know just by looking at the title. From 2007 to 2010 a coach in the Houston Astro’s bench sat in line with first base and timed how long it took 302 different players to reach first base. Those 302 players by the way represented approximately 67% of every position player in the majors during that time span. In total they timed 1896 sprint times from home to first unless the ball was hit by a pitcher, designated hitter or a lollygagger. If you don’t know what a lollygagger is watch this clip from the best baseball movie of all time Bull Durham. In addition to timing them to first base, which is a pretty standard practice among baseball coaches, they also took a split time at the half way point between home and first. 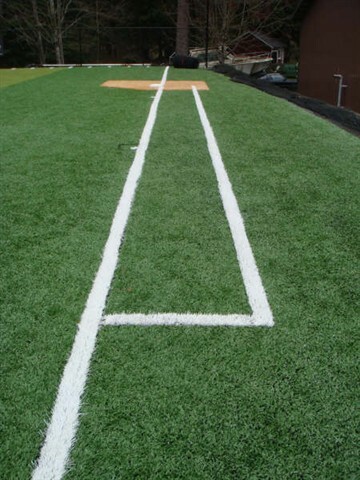 Home to first is 90 feet (27.4m) and the running lane starts exactly at the 45ft (12.7 m). They used the first half time split (0-45ft/12.7m) as their pure acceleration time and the second half (45ft/12.7m-90ft/27.4m) as their transitional acceleration time split. Through the use of some fancy statics these authors were able to determine that the first half was more important than the second half in determining your total home to first time. If you are an aspiring young baseball player trying to climb your way up the baseball ranks this is great news because now you know what you need to work on in order to make a real difference in your game. You need to work on your pure acceleration. Here are times from the study broken down into positions in case you want to compare yourself. The running technique that you need to get your body going from stand still is very different than the one you usually hear about when people are taking sprinting techniques which are geared towards max speed. First of all you must lean forward a lot more than normal. Try looking at the ground until you pass the start of the running lane. The first couple of steps are also going to be a lot slower in the sense that your feet will be in contact with the ground longer compared to top end speed. Since your feet will be touching the ground for more time it is important to put as much force into the ground as you can. Putting force into the ground is the name of the game. The more force you put into the ground the more you stand to benefit from when it comes back up and pushes you forward. The best way to increase the amount of force you put into the ground is with weight training. Use big compound exercises like Squats, Deadlifts, Bulgarian Split Squats, RDL’s and Hip Thrusts with high loads (75-90% of your max) for 2-6 reps and multiple sets. If these lifts are your primary focus in the weight room and you continue to improve upon them you will increasing your running speed or at least your potential to run faster. 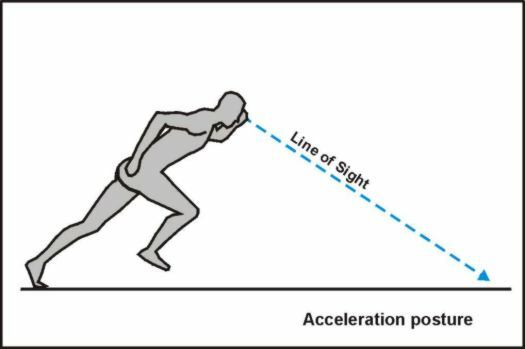 The 10 yard dash is becoming a more and more popular test for sports like baseball, football and any other sport that relies on bursts of acceleration. The test itself is pretty simple: mark off 10 yards and get someone who is good and quick with a stop watch to time you. Practicing this test will help you get better at accelerating plus it’s not too hard on the body since it hopefully won’t last more than 2 seconds. Below is a chart with some ten yard dash times from some published studies that looked at professional baseball players along with some times from college players from my own study that recently got accepted and will be published soon. I hope that this shed some light on why acceleration is more important than max speed along with a couple of ideas and guideline to help you improve you ability to accelerate. 1. Eugene Coleman A, Amonette WE. Pure acceleration is the primary determinant of speed to first-base in major-league baseball game situations. J Strength Cond Res. 2012 Jun;26(6):1455-60. 2. Hoffman JR, Vazquez J, Pichardo N, Tenenbaum G. Anthropometric and performance comparisons in professional baseball players. J Strength Cond Res. 2009 Nov;23(8):2173-8. Baseball is a game steeped in great traditions but our means of evaluating a baseball player’s athletic ability by having them run 60 yards in a straight line is one tradition that we should change. 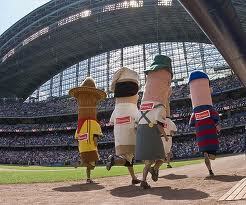 The reason for improving the 60 yard dash is that it is not very specific to the game of baseball. When do you ever run 60 yards in a straight line? The base’s are only 90feet/30yards apart and if you are an outfielder and have to run 60 yards in a straight line to chase a ball down the gap or the line you might want question how you are positioned. The only time I have ever seen a straight 60 yard dash at the park is in Washington or Milwaukee and even this was between innings. Baseball is a game that is built of very short bursts of activity which places a more emphasis on acceleration and agility than it does top end speed. 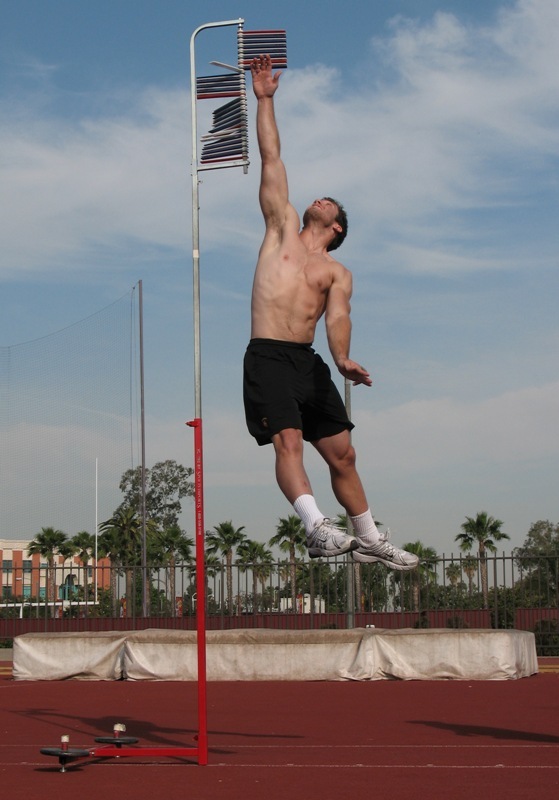 Agility is listed as one of the 5 tools that a baseball athlete needs in order reach the next level. A recent study published in the Journal of Strength and Conditioning by Priest et al. (2011) used a 60 yard agility test called the JJ Shuttle as part of the tryouts for an NCAA II baseball team. I liked the study but found that their test had too many stop and go’s (4 change of directions) which didn’t mimic a baseball game unless you are caught in a run down against a little league team. This could go on forever!!!! My version of a new sixty is going to blend of sprinting and agility to get the best of both worlds while still totalling the traditional 60 yards. This will total 60 yards which should keep the traditionalists happy but will give you not only speed but change of direction, deceleration and most importantly acceleration measures. In baseball terms you can think of breaking early at first base in order to get picked off. Your first sprint causes the defence to make the first throw from the first baseman you change directions and head back to first hard which draws a long throw from the middle infield at which point you change directions and head into second base hard. The distances are little off but you get the idea. The study that I mentioned did however account for the weight of each player and measured what they call the K-Factor (kinetic factor) which is based on a combination each athletes weight and speed. A 200lbs player who can run 7.5 sec is going to have a higher k-factor and more power than a 150lbs player that gets a faster time of 7.2 seconds. Of the top 10 times recorded in the study only one was a pitcher while no catchers made the list which is no real surprise. However 6 of the top 10 highest K-Factor scores were produced my catchers or pitchers. This kinetic/power score is more important if you are a pitcher, catcher, and corner infielder because your game is going to be built on how much force you can produce and transfer to the ball through your arm or your bat. Middle infielders and outfielders will need pure speed. Regardless to make it to higher levels of baseball you need to be both big and fast so keep track of both your size and speed. If you can gain 10lbs and still be just as fast you will improve your power. Baseball is one of the most powerful sports earth. 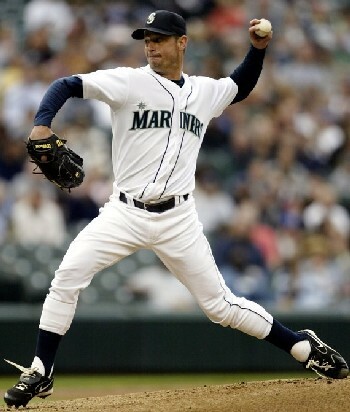 Hitting and throwing are two of the most explosive actions that you’ll find in any sport. Despite this some people don’t consider baseball to be a sport that requires a lot of athletic ability to be successful. This stereotype is a result of the fact that baseball is game that places a high demand of skill. Skills like hitting a round ball squarely with a round bat or the skill to make a ball look like it’s coming faster than it is just to have it fad away at the last possible second. High levels of these types of skills can help you compensate for a lack of other skills such as athletic ability, after all if you are very skilled at hitting your ability to run doesn’t matter much. This is part of the reason that those who play baseball can be described as a “ball player” or as an “athlete”. The ball player might have a lot of skill such as hand eye coordination but may lack speed or strength while the athlete posses plenty of speed and strength but is deficient in the skill side of the game such as fielding, hitting or pitching. For the non baseball fans out there a “Five Tool Player” is a term used to describe a player that has all of the necessary abilities to excel at the game of baseball – someone that can do it all. These types of players are a rare breed and every coach wants a roster full of them because they are have an ideal combination of athlete and ball player. 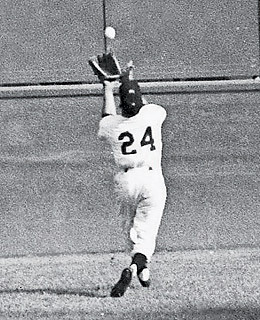 Some examples of some “Five Tool Players” include Willie Mays, Mickey Mantle or Ken Griffey Jr to name a few. If you want to be a five tool player you have to first identify what area’s you need to improve upon. Are you more of an athlete or a ball player? Should you concentrate on your ball player or athletic skills right now? It is in our nature to work on what we are already good at and avoid what we are not good. One of the challenges that occurs when you start playing higher levels of baseball is that there is less time to focus on building your athletic skills in the off-season because there just isn’t as much off-season. This is too bad because this is the time when you should be focusing on becoming a better athlete in order to bring your game up to the next level. Not only will a strength and conditioning program provide you with more speed and strength but a smart program will increase your chances of avoiding injuries which could sideline you and it is impossible to get better when you are hurt. Baseball is evolving and today’s game demands that in order to play at the top-level you must have a lot of skill, both baseball and athletic. And it is the purpose of this blog to help improve your athletic skills. Be sure to check back to this blog on a regular basis in order to learn more and more about how you can improve your athletic skills and avoid injury. Check back in the archives to see the off-season program that was listed which is a great place to start. Do You Have Big League Skills? Do I have big league skills? What level are my skills at now? 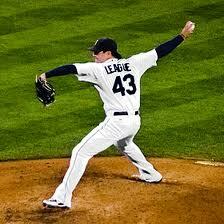 What level do my skills need to be at in order to play professional baseball? Both mental and baseball specific skills are tough to measure in regards to putting an exact number on them; sure coaches can tell you that you need to get mentally tougher or improve your hitting skills but they can’t give you an exact number or percentage to shoot for. I have never heard a coach say with certainty that if you improve your grittiness by 34% you will make it to the Big Leagues. Even baseball scouts can’t measure players with exact figures for mental and baseball skills, they can only rank them in comparison to other players which is more of an art than a science. The athletic skills on the other hand can be measured and ranked accurately and thanks to some researchers and the Texas Rangers organization we now know just how much athletic skill one needs to play professional baseball. For two years these researchers tracked 343 players within the Rangers organization and measured athletic attributes like agility, jump height, grip strength, power and sprinting speed along with physical characteristics like height, weight and body fat and they separated them into categories based on what level of professional baseball they played. These results clearly demonstrate that the players in the Majors are in fact bigger, faster and stronger than the guys in the minors. Baseball is a game of stats and the researchers did not ignore this fact. They looked at the players stats over the course of the two year period and found that certain tests were great at predicting a players ability to steal bases or hit home runs even within their level of baseball. Here are some highlights of these stats from this study and how it relates to the game of baseball. 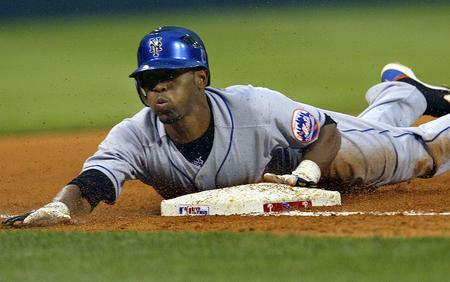 Question: Want more Stolen Bases? Rational: The 10 yard dash which measures acceleration which more important than top end speed because it is very rare to hit top speed in baseball. Acceleration is needed to track down a fly ball, cut off a grounder, steal a bag or beat out an infield single; all of these examples don’t have you hitting your top speed. The big league players on average had the fastest 10 yard dash times. 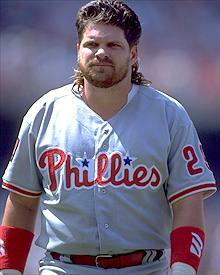 Question: Want to hit more home runs and increase your slugging percentage? 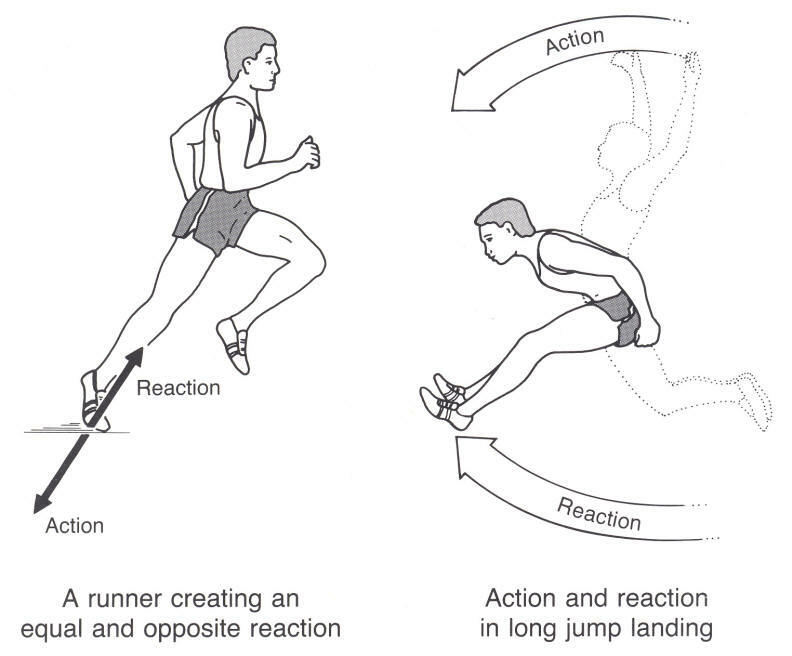 Rational: Power is the combination of force and velocity (for more on Power check out the “5 Athletic Tools”) so when you take the jump height (velocity) and combine it with force (body weight) you get power. The vertical jump scores of the big leaguers was higher than the other levels but the real story is when you look at the fact that they also weigh more than the other players which means that they are in fact more powerful. 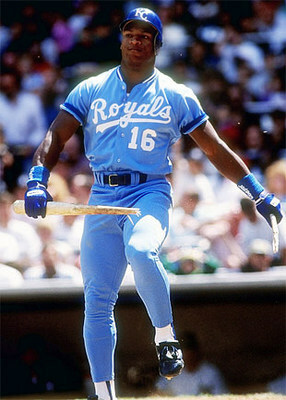 And baseball is a game of power. This is a very interesting study because baseball is considered to be a very “skill” dominated sport where if a player is very good at hitting or pitching they don’t have to be the greatest athlete in order to reach the top level of the game. 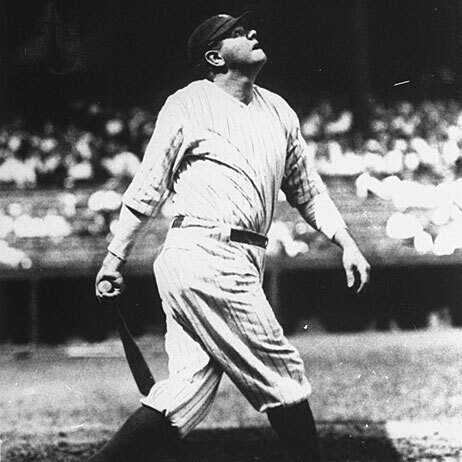 We are always reminded that baseball players are not athletes when we players like Babe Ruth and David Wells are used as examples but these two guys were athletic enough and possessed extreme levels of both baseball specific and mental skills which enabled them both to succeed. Today’s baseball is becoming more and more competitive and this study shows that athletic skills are playing a deciding role in who plays in the “Show” versus the minors. The Study: Anthropometric and performance comparisons in professional baseball players. Where I found it: J Strength Cond Res. 2009 Nov;23(8):2173-8.